21 suites and bedrooms are all quite different but each has a small or large sitting area and bath shower en suite. The largest suites top at 900 sq ft with private terrace and small plunge pools enjoying wonderful views. 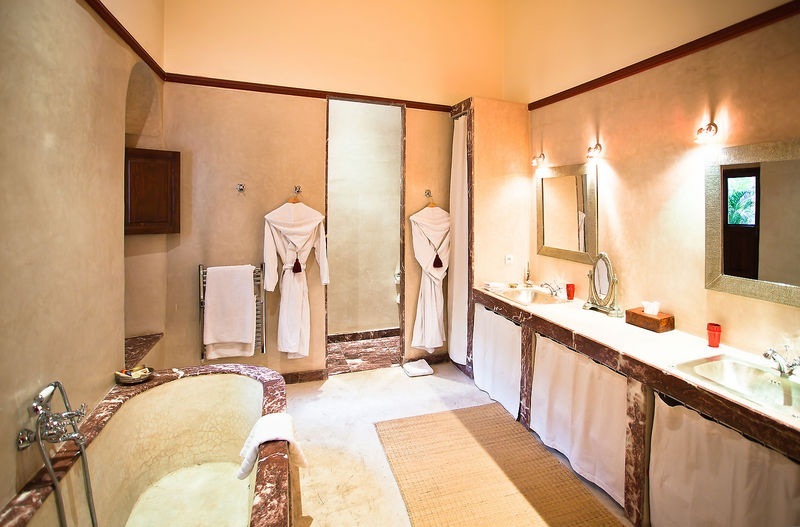 The showers have power, the baths are deep, the heating/air-con is effective and discreet, the mattresses firm, the pillows plentiful, the linen fine, the beds huge, the bath oils delicious, the candles scented. 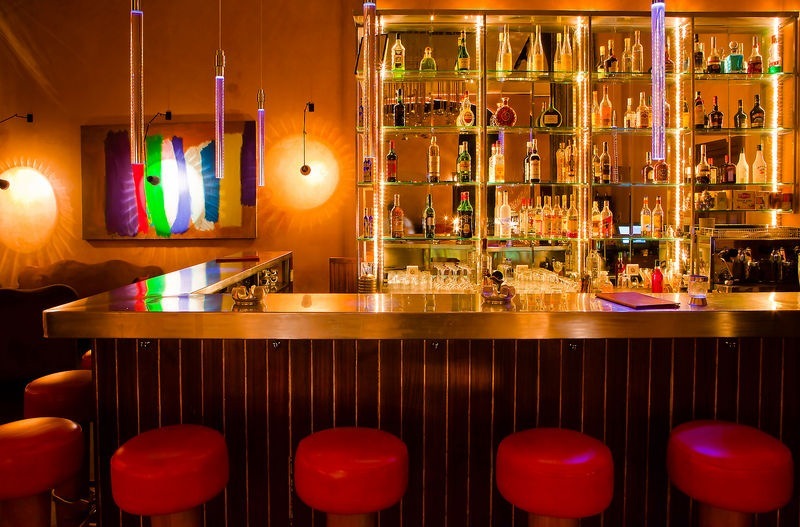 All rooms have mini bars, iPod docking stations and safes. Room service is available. The rooftop dining and relaxation space offers beautiful views overlooking Marrakech, and guests can take advantage of the riad’s peaceful outdoor swimming pools and first-class spa and hammam facilities, making this a popular spot for guests seeking rest and relaxation. The spacious 21 loft-style rooms and suites are appointed in a contemporary Moroccan style with intricately crafted antiques, sumptuous sprawling beds with Egyptian cotton sheets, deep soaking tubs and all of the modern conveniences that you could wish for. 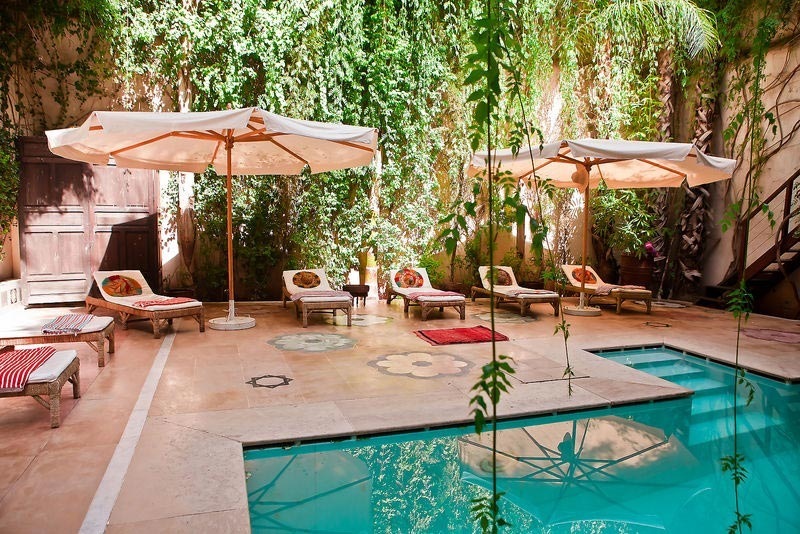 This is one of our favorite raids in Marrakech and makes for a stylish and peaceful escape. 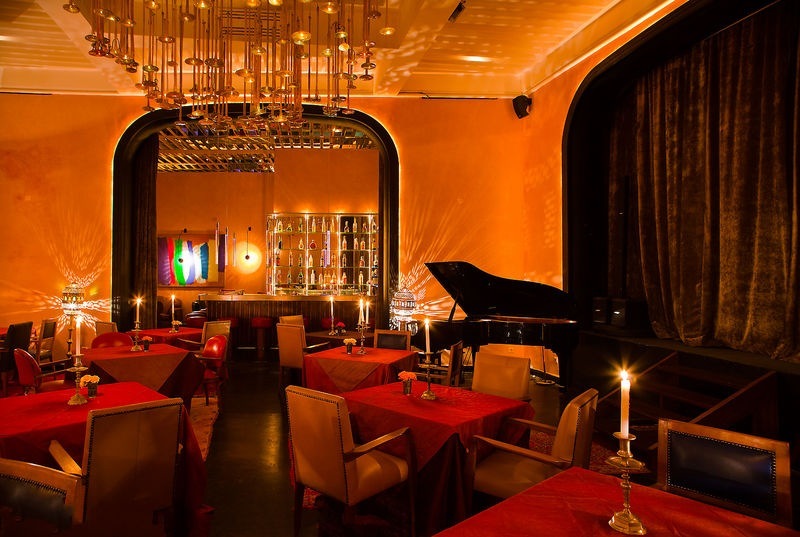 Ryad EL LUXE is a large town house perfectly located on the edge of the Medina of Marrakech, Close to the Bab El Ksour gate, it is just 20 minutes from the airport, yet only a five minute walk from the heart of the city, the main square of Jemma El Fna. Built like a fortress, the ancient walls of the ryad are over a meter thick, providing an oasis of beauty and peace in the midst of the noise and bustle of the medina. Respecting the historical importance of the house, it has been restored to the highest of standards with love and attention to detail. 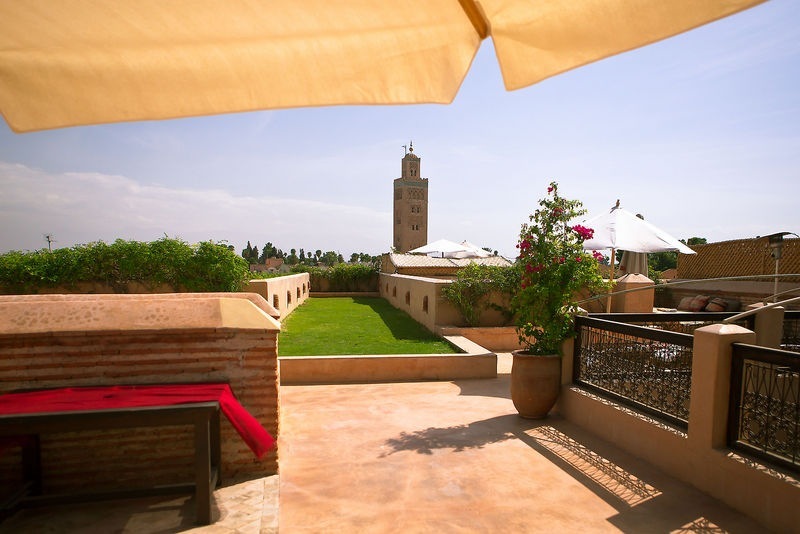 Within these ancient walls you will find everything you need for a wonderful stay in Marrakech, whether you just want to relax and unwind, or have a base from which to explore the delights of the city and the surrounding area. With 21 luxuriously appointed rooms, three pools, a spa, private cinema, bar and restaurant, secret terraces and magnificent colonnades, This Riad has everything you could possibly need, and more. Kindly contact us for other amenities.